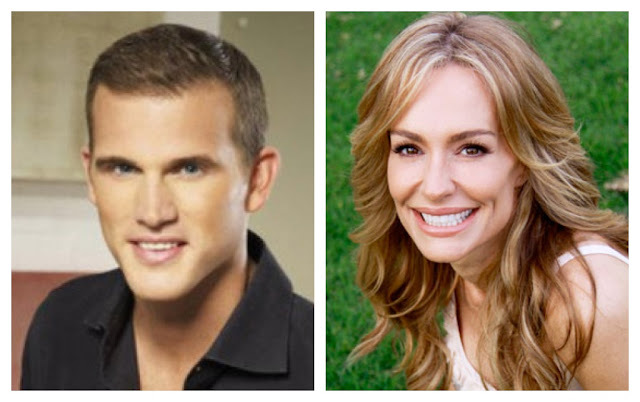 Are Matt Nordgren and Taylor Armstrong a Couple? I can't believe it took me a week to hear this scandalous bit of news, but Taylor Armstrong from the Real Housewives of Beverly Hills was in Dallas the weekend of September 23-24, 2011. No official word on the reason for her trip, but it looks like she came to town for one of Dallas' Most Eligible: Matt Nordgren. For those of you living under a rock, Taylor Armstrong has been in the headlines the past few months because her estranged husband committed suicide right as Season 2 of Real Housewives of Beverly Hills was about to air. Much of this upcoming season was to be centered around Russell and Taylor's marital problems, which included allegations of abuse and financial woes. Bravo executives had to scramble to edit the season to tone down the focus on the Armstrong's troubles out of "sensitivity" to the family (which includes a 5 year-old daughter) and the issue of suicide itself. My first thought was that she must have been coming to town and someone at Bravo asked Matt if there was anything fun happening for Taylor to attend and Matt (loving the ladies like he does) offered to show her around. Then... I saw the tweets below. Then there's the fact that I am also being told by sources inside Matt's circle that he and Taylor "hooked up" in July when the cast was in Los Angeles doing press and publicity. To be fair, Taylor did separate from Russell in June, so technically they weren't together. Let's just say, it sounds like Taylor isn't let any grass grow under her feet. Things that make you go, "Hmmmmmm." Matt (age 29) told friends that Taylor (age 40) "is a dear friend... who just needed a change of scenery" so Matt told her to come out to Dallas and he'd "show her around". Matt's friends are telling me that no one is buying his story because if they were such "dear friends" how come he's never mentioned their friendship before - to anyone? I reached out to Matt who emailed me back (very promptly, I might add) to say, "It's important for the Bravo family to support each other. Anytime someone's going through that difficult of a situation I want to be supportive. She's a friend, and that's what friends do. She was in town handling business for her situation." This is plausible because Russell's family lives in Denton, Texas and she did go to the University of Oklahoma, so she still has ties to the area. Apparently, Matt showed Taylor a verrrrrry good time because they were spotted out on the town dining at Nick and Sam's restaurant, they showed up for the grand opening of Private|Social owned by fellow Bravo TV alumne, Tiffany Derry, attended the MTV:ReDefine Gala and Matt even took her to his 10-year reunion for Bishop Lynch High School. BAM! UPDATE: (10/5) I finally read the Dallas Morning News that's been sitting on my kitchen counter for a week... and hot damn, if there wasn't a photo of Matt and Taylor from the MTV: ReDefine Gala. So, there you go. Proof that they were out together.